“The Iran deal was the worst diplomatic debacle in American history,” he continued in the speech, which coincided with the annual UN General Assembly. “It did nothing to address the regime’s destabilizing activities or its ballistic missile development and proliferation. Worst of all, the deal failed in its fundamental objective: permanently denying Iran all paths to a nuclear bomb. The United States is not naive. We will not be duped, cheated, or intimidated. The days of impunity for Tehran and its enablers are over. The murderous regime and its supporters will face significant consequences if they do not change their behavior. Let my message today be clear: We are watching, and we will come after you. If Bolton considers something to be the “worst diplomatic debacle” of our entire history, that tells us that the agreement required very little of the U.S., that it reinforced habits of multilateral cooperation, and that it successfully resolved an outstanding dispute that Bolton wished to resolve through regime change and war. Iraq today suffers not from the 2003 invasion, but from the 2011 withdrawal of all US combat forces. What strengthened Iran’s hand in Iraq was not the absence of Saddam [Hussein], but the absence of coalition troops with a writ to crush efforts by the ayatollahs to support and arm Shi’ite militias. When US forces left, the last possibility of Iraq succeeding as a multi-ethnic, multi-confessional state left with them. Don’t blame Tony Blair and George W Bush for that failure. Blame their successors. Perhaps Trump keeps Bolton around to frighten his adversaries, like a Rottweiler unleashed in the yard to scare off potential intruders. 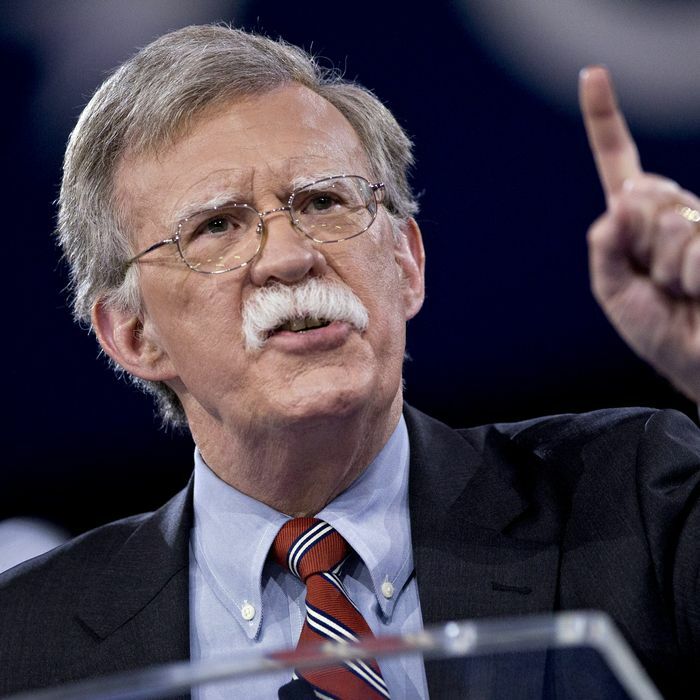 But in terms of America’s relationships with friends as well as enemies, Bolton’s bite is as real as his bark.